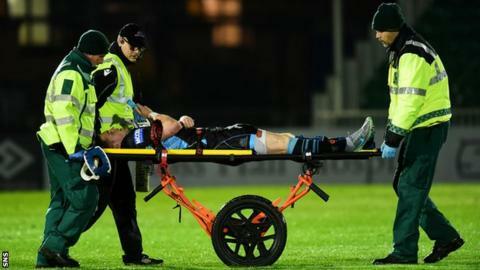 Glasgow Warriors' Glenn Bryce faces up to 10 weeks on the sidelines but will not require surgery on fracture and ligament damage to his ankle. The full-back underwent a scan after sustaining the injuries during Glasgow's friendly win over the British Army team on Friday. "Everyone at the club would like to wish Glenn all the best with his rehab," said the Warriors. Ex-Jersey player Bryce joined Glasgow last year from Doncaster Knights. He made a handful of appearances last season and has played for Scotland Sevens and the national team's Under-20s team.